The MotherHouse of the Goddess is a Gathering Place for seekers of sacred living, particularly modern women. We share resources on Goddess and Women’s Spirituality and mindful living, provide online courses, and promote and organize events online and offline. The MotherHouse is the hub for blog posts and information for those who are seeking myth and practice, everyday sacred living, mindfulness, empowerment, and community for Goddess Spirituality and the Divine Feminine. Seasonal articles, living mythology, tools and practices, and transformational stories are all a part of our exchange. Wise Women, Wild Women, Priestesses, Shamans, Teachers, and Guides are all part of our Community and we are delighted that you are here. Make sure you pop over and meet our contributors! 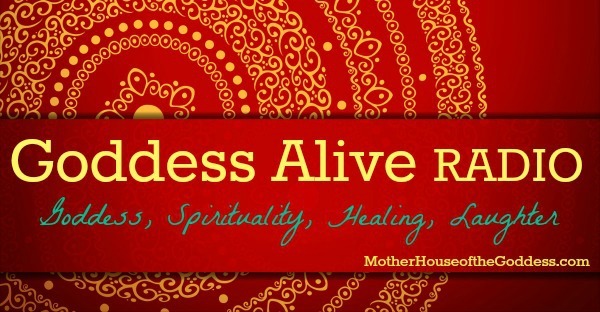 Mystery School of the Goddess is our Sacred Feminine School on our online teaching platform. There are offerings for Sacred Feminine Studies, Wisdom Practices, Earth-based Spirituality, and the Healing Arts. Some of the courses are self study, allowing you to complete them at your own pace. Each month we provide updates for new courses beginning, as well as the self study. For those interested in getting to know us, we have frequent free community offerings as well. Our instructors are varied and well-qualified with academic and strong experiential backgrounds. New courses are released monthly and sometimes weekly – click here for the latest update. MotherHouse Goddess Shop, we offer tools for sacred living and items to support and enhance your ritual and ceremonial needs. ~ Goddess Portal Index – provides articles, links and resources for Goddesses and includes Living Mythology, Ancient Wisdom, and Goddess Practices to deepen and enhance your connection and facilitate your study. For more information, please contact us to set up an email correspondence or call. Thank you so much for your interest and we look forward to connecting with you! Not all of us who worship the Goddess are female. Just thought that should be said. Otherwise, you’re my kind of people. Ron, you shall be happy to know I AM another man who honors and worships the Goddess. Also, via MotherHouse of the Goddess, I have had the honor and pleasure of connecting more deeply with various Goddesses. It is nice to see another male in the comments and in the fold, as it were. Thank you. I am unable to open the class page. ANN! Thank you so much for the note! I checked and there was a wordpress error which I would not have seen for another day or two! All good now and thanks again! Just a note to thank you for your inspirational website. Like Ron Leming, whose comment appears above, I really appreciate your site. I find Goddess spirituality to be intellectually challenging and satisfying, spiritually liberating and emotionally uplifting. I came to know about your website through, today and now , I belong to India where Mother is worshipped in all of her forms, loving , nurturing, powerful, and destroyer too, Thanks for dedicating to the power of Mother , the goddess. JAI MA! Thank you for your visit and kind words, sending love! I’m interested in the goddess course over 22 weeks, each week studying a different goddess, just wondering what kind of stuff would be covered each week? Are worksheets too print out? And how much would $99 be in British pounds? and a currency converter should help you with the cost conversion! THANKS! I’m just wondering if i can join in general.. I’ve hooked this up to my fb account, but is there a way i can become a member please?